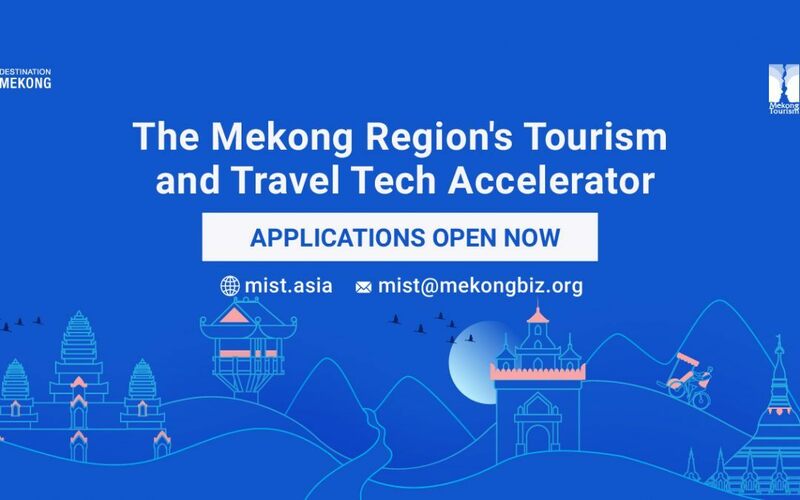 The Mekong Business Initiative and Destination Mekong announced their 2018 Mekong Innovative Startups in Tourism (MIST) business support programs are now open for applications. For the first time, the MIST Startup Accelerator is welcoming applications from tourism, hospitality, and travel tech startups headquartered in Thailand as well as from Cambodia, Lao PDR, Myanmar and Viet Nam. The Startup Accelerator provides support to early-stage companies with innovative and scalable business models. Its 2018 cohort will close to applications on March 10, 2018. The 15 to 20 startups selected to the Accelerator will attend an all-expenses-paid intensive boot camp where they will compete for six months of advanced mentorship, in-kind acceleration support valued at $20,000, prize money up to $10,000, and customized business matching with potential investors and partners. The MIST Market Access Program, now in its second year, is soliciting applications from successful, small-to-mid-sized international tourism, hospitality, and travel tech companies that want assistance expanding into Cambodia, Lao PDR, Myanmar, and Viet Nam. The Market Access Program will close to applications on March 31, 2018. Past participants have hailed from Australia, Canada, the Republic of Korea, Malaysia, Thailand, and the United States. As many as five companies accepted into the Market Access Program will receive consulting to support their market access plans, and they will be introduced to key stakeholders in the region including government and industry leaders. The applicant with the highest-potential plan for the region will receive a complimentary market access tour valued at $15,000. Destination Mekong and the Mekong Business Initiative – with the backing of the Government of Australia, the Asian Development Bank, and the Mekong Tourism Coordinating Office – launched MIST in 2016 to propel innovation in the rapidly growing tourism markets of the Greater Mekong Subregion. MIST aims to expedite tourism industry growth, create an ecosystem that inspires innovation, and promote sustainability in tourism. About the Mekong Business Initiative (MBI) – The Asian Development Bank and the Australian Government jointly launched the MBI in 2015. The MBI catalyzes private sector development in emerging Association of Southeast Asian Nations (ASEAN) markets, focusing on Cambodia, the Lao People’s Democratic Republic (Lao PDR), Myanmar, and Viet Nam. The program aims to improve the business-enabling environment in these four emerging ASEAN markets with particular focus on business advocacy, alternative finance, and innovation. MBI operates four innovation accelerators: Mekong Innovative Startups in Tourism (MIST), the Mekong AgriTech Challenge (MATCh), the SMART City Innovation Challenge, and the Fintech Challenge Vietnam (FCV). MBI is also the principal organizer of the Women’s Initiative for Startup and Entrepreneurship (WISE), a network of women-owned and women-led startups in Viet Nam. It is supported by the Asian Development Bank and the Government of Australia. On Facebook: MekongBusinessInitiative. About Destination Mekong – Destination Mekong was established in 2017 to promote Cambodia, PR China (Guangxi and Yunnan), Lao PDR, Myanmar, Thailand, and Viet Nam as a single tourism destination, stimulate responsible and sustainable development and investment, and drive inclusive growth. Endorsed by the Mekong Tourism Coordinating Office and aligned with the mandate of the regional collaborative tourism framework of the six member governments, Destination Mekong executes targeted projects and initiatives via a pubic-private partnership investment structure, led by UNWTO Affiliate Member Chameleon Strategies.